The BWM= option requests bandwidth multipliers of 2 for both x and y. 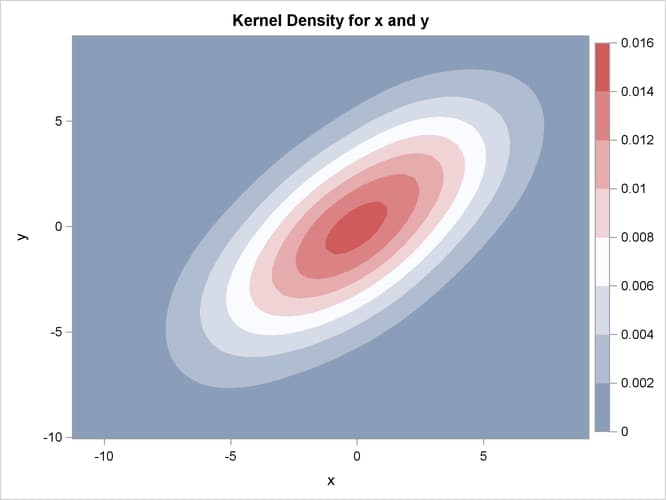 With ODS Graphics enabled, the BIVAR statement produces a contour plot, as shown in Output 52.3.1. 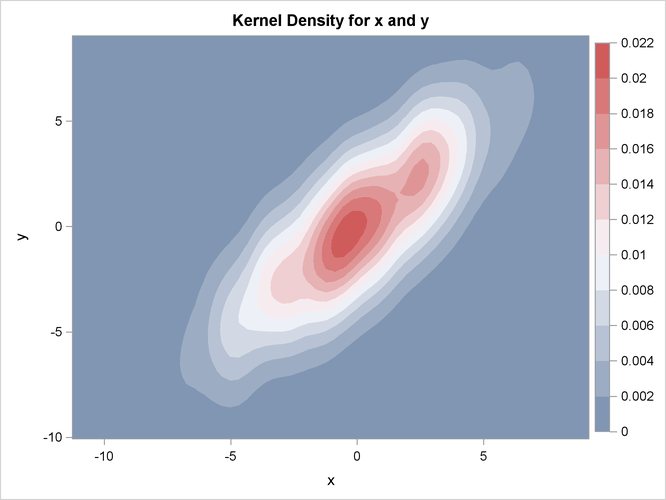 The contour plot of the second kernel density estimate is shown in Output 52.3.2.